A sloping roof (or pitched roof) is usually defined as a roof with a slope that is greater than 15 degrees. 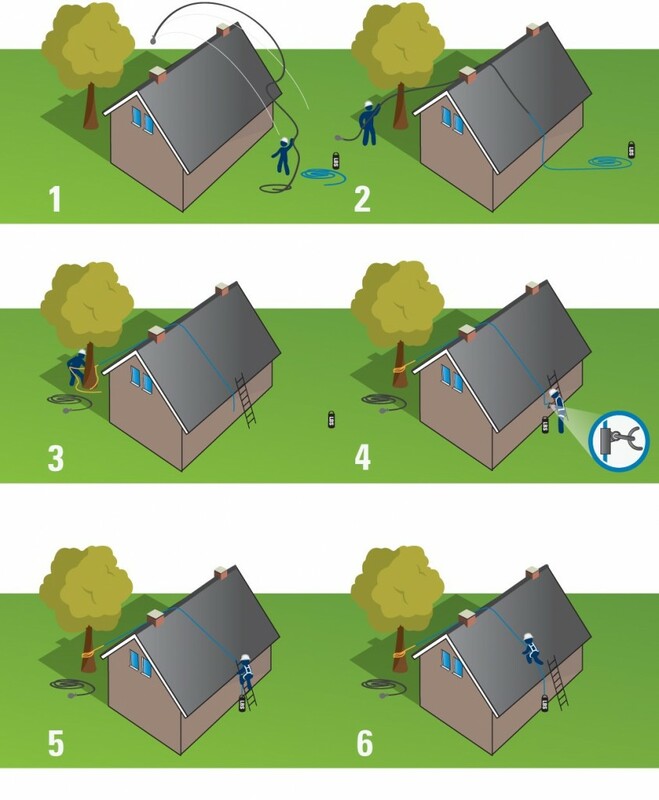 On these roofs, protecting yourself against fall accidents is a bit more complicated than it is on a flat roof. 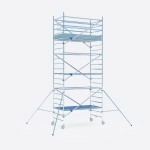 Therefore, different standards apply to the fall protection used in these situations. In this post, it is explained how to use Personal Protective Equipment (PPE) to create a secure, temporary anchor point on one side of the roof, so that a sloped roof can safely be accessed from the other side. Users are attached to a rope (that is secured to an anchor point) by means of a rope grab device (a fall arrest device). Before accessing the roof, users connect the rope grab device to the safety harness they wear, in a safe zone. For work on a sloping roof, users should always face the ridge, which means they should use the chest attachment point of the harness. A throwing line is used to get the rope over the sloped roof. Then, a user needs to find a secure object that can be used to serve as a safe temporary anchor point. In this example, a tree is used as a temporary anchor point. After the rope is anchored, a weight is placed at the other end to keep the rope taut. 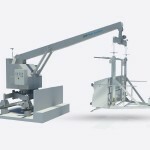 This is to ensure that the rope grab device works properly. The use of a throwing line, as described above, has several important restrictions. It is important to note that the correct completion of the steps above does not guarantee safety. Users must never be at the side of the sloping roof that is closest to the temporary anchor point. In other words: users must always access the roof from the side that’s opposite from the side that’s closest to the anchor point, and they must never go near the ridge. 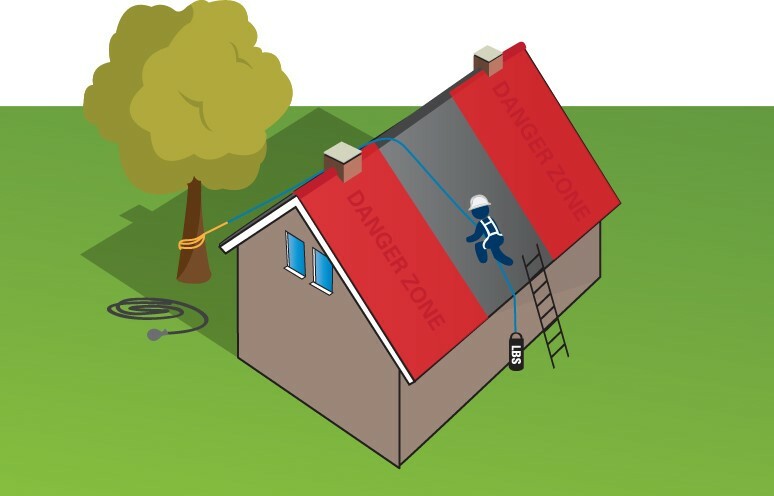 Users must never be close to the sides of the roof – this is where the danger zone is located. If this restriction is violated, than a user runs the risk of sliding or falling off the side of the roof. 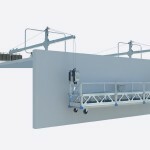 SIDENOTE: If the work takes more than four hours, it is preferred to use collective fall protection (such as guardrails) in addition to individual fall protection. An approved permanent fall protection solution, if available, should always be preferred over the use of a temporary anchor point. If you would like more information about our fall protection solutions, request our fall protection brochure. 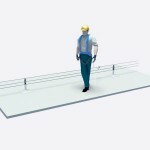 For advice about the most suitable fall protection solution for your building or project, it’s best to contact us directly.